© 2018 – Glint Media Ltd. If you’re looking for a company to help integrate your online e-commerce or invoicing platform with Intuit’s QuickBooks Online accounting software, look no further. 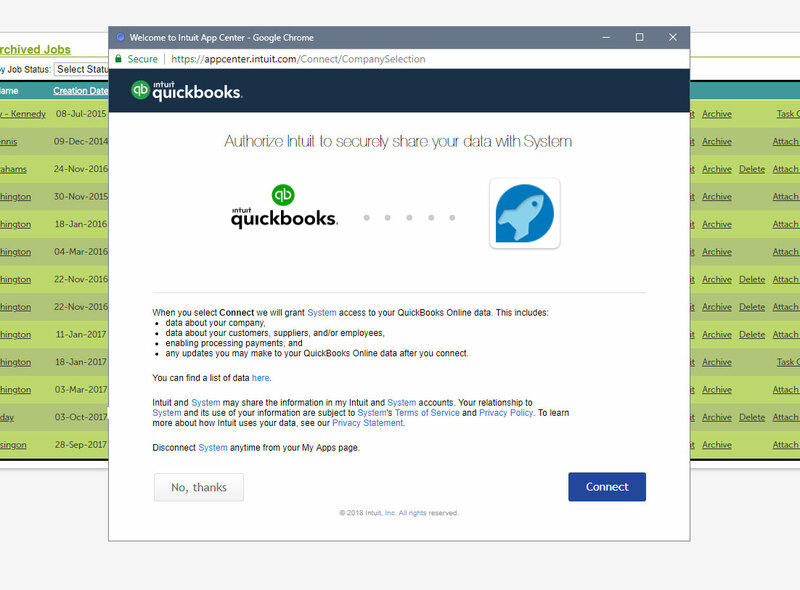 We have extensive experience of QuickBooks integrations using their OAuth connector for a secure, seamless workflow. Integrating your sales platform with QuickBooks means you can issue invoices, pay suppliers and much more without hassle and duplication. Our clients have reported massive savings on man-hours and costs thanks to our integrations. We can help by creating a connection to QuickBooks for your existing web platform. We can also provide you with a whole new platform with QuickBooks integration as part of our systems automation bundle. Contact us to find out how we can help your business become more efficient. From April 2019, there will be a requirement for companies and individuals to use the Government’s ‘Making Tax Digital‘ system. Part of this requirement is storing tax records on compliant software. QuickBooks is fully MTD compliant.